Aneta graduated the University of Sydney with a Masters of Physiotherapy (MPthy) in Australia. She completed a Massage Therapy Diploma (RMT) at the Sutherland-Chan School and Teaching Clinic in Toronto and also attended York University to achieve a Specialized Honors Kinesiology and Health Science Degree (BA.H). 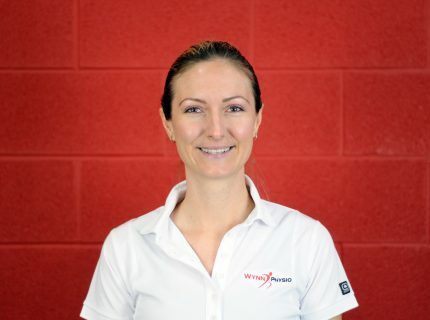 Aneta’s ultimate goal as a Registered Physiotherapist and Registered Massage Therapist, is to provide rehabilitation strategies, pain management, treatment and maintenance of soft body tissues through hands-on treatment, education and exercises. All of her treatments focus on providing patients with a positive, professional and ethical experience, while maintaining a strong client centered therapy approach. When she is not working, Aneta enjoys cooking and spending time outdoors. Some of the more exciting adventures in Aneta’s life include Scuba Diving in the Great Barrier Reef and hang gliding off a cliff in New Zealand.